“We are treated like we’re terrorists.” “I am so upset.” “I’d rather be imprisoned back home.” President Trump’s ban on immigrants from seven Muslim-majority countries has splintered families in the US and all over the world and left them anxiously awaiting what comes next. In recent days CNN has heard from people seeking refuge from war, wives trying to return to their husbands, parents hoping to attend their child’s graduation in the US and many more. Here are their stories. Editor's Note: CNN also spoke with supporters of Trump's travel ban, read their stories here. 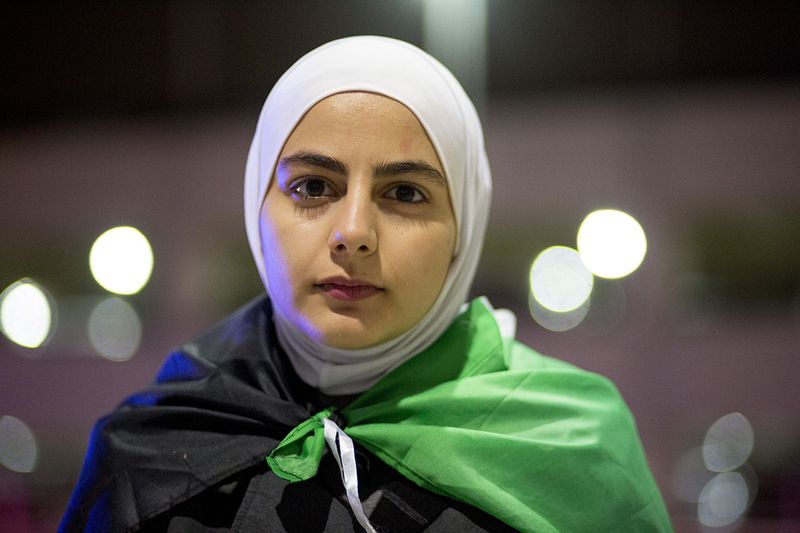 Nashwa Alhoussaini is originally from Damascus, Syria. She was at a protest at the Detroit Metropolitan Airport on Sunday, January 29. "I have a lot of family that lives overseas," she said. "I actually have one family member that is trying to get his fiancee over here and we were gonna have her wedding next month, but it's officially been canceled." Seradjeh is an associate professor of physics at Indiana University. 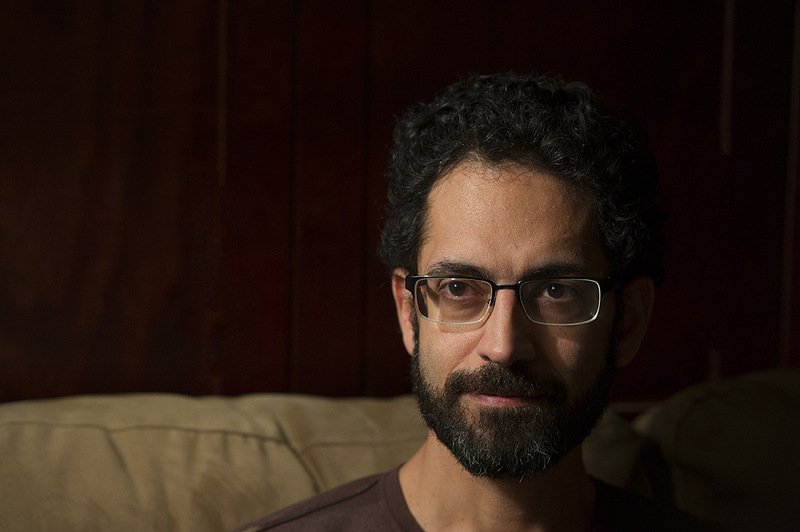 He was born in Tehran, spent eight years in Canada and currently lives in Bloomington, Indiana. He has dual citizenship -- Iran and Canada. Seradjeh was planning to fly to Tel Aviv on Saturday to meet with his research partner, Eytan Grosfeld, a professor at Ben-Gurion University. 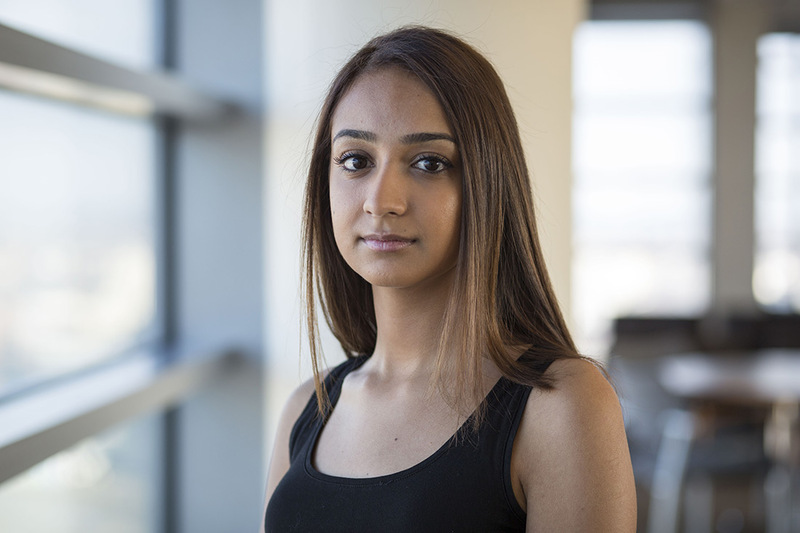 A student at Boston University, Bidshahri has lived in the United States for three years and considers Boston her home. She fears she will have to leave the country when she graduates in May and her student visa expires. 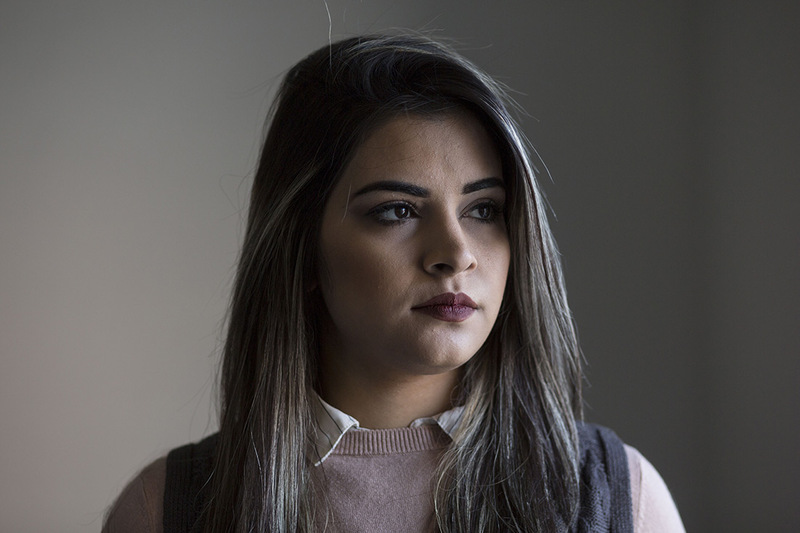 Bidshahri is studying neuroscience and says the university has warned her not to leave the country because she might not be able to re-enter. Her family was planning to attend her graduation, but because they are Iranian they’re now covered by the ban. 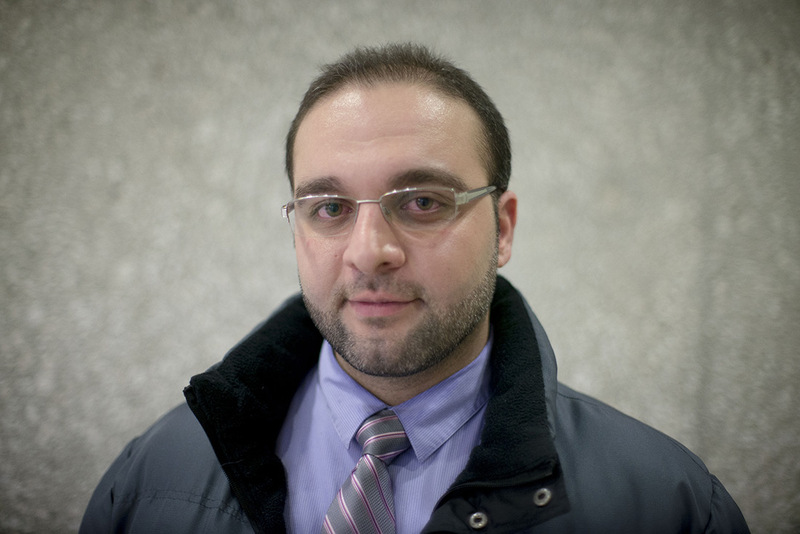 Hajouli is a trainee doctor from Aleppo who has lived in the US for about two years. 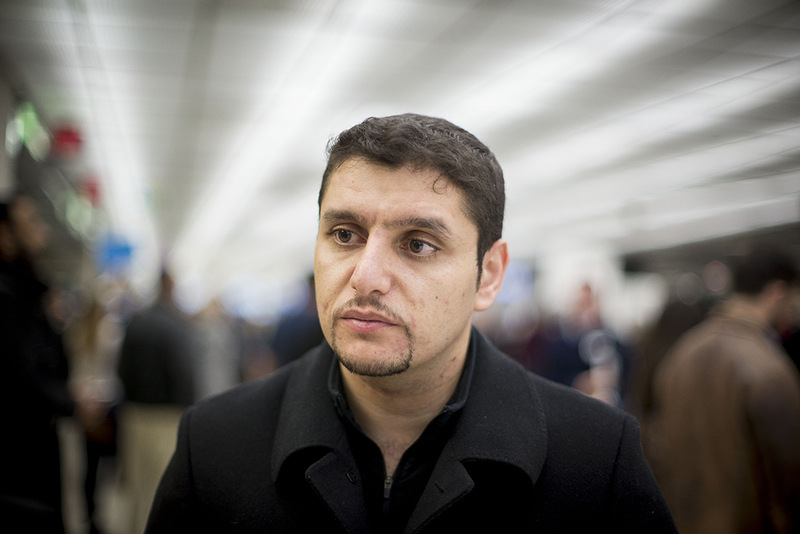 He and his wife both fled Syria after the civil war broke out. His wife has been living in Turkey and he has not seen her in almost two years. Hajouli said his wife was recently granted a J2 visa and flew Saturday from Istanbul to Dulles International Airport outside Washington. She was being detained at the airport and had not yet seen a lawyer. 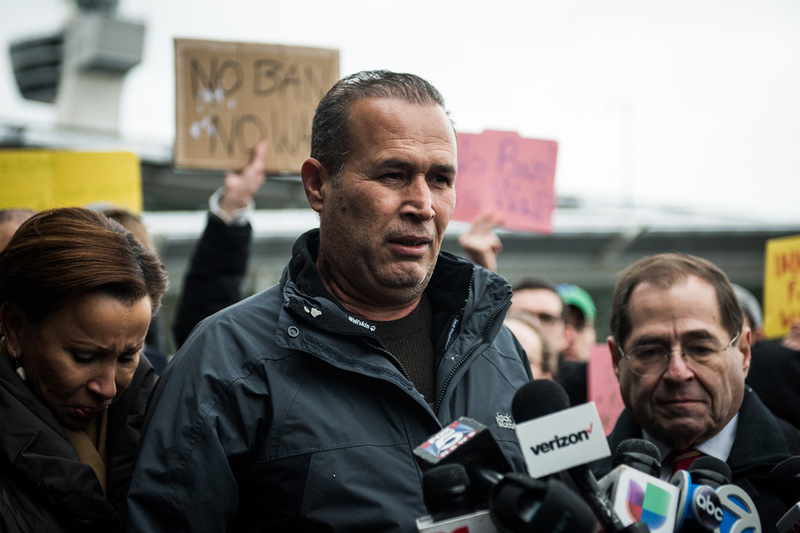 Hajouli said he feels more hopeful after a federal judge granted an emergency stay for citizens of the affected countries who have already arrived in the US. 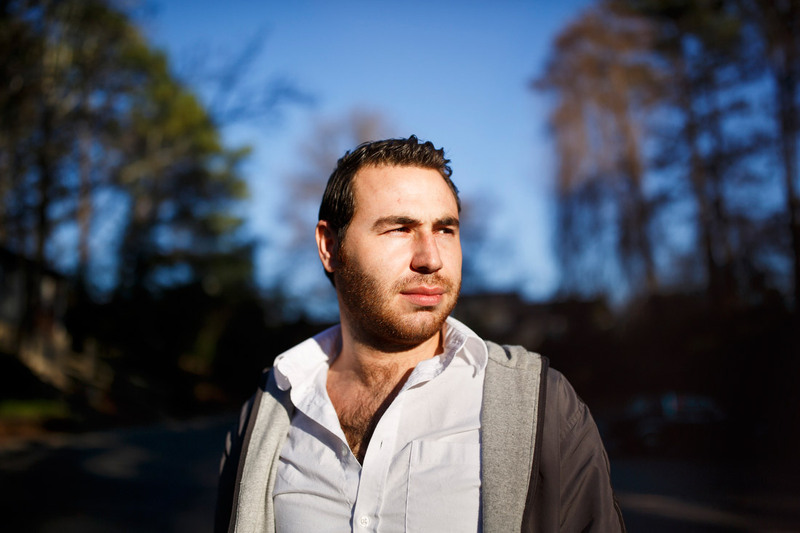 Abdo came to the U.S. seven months ago and is living in Lowell, Massachusetts. She’s learning English and eventually wants to study nursing. Abdo is working the overnight shift at Walmart to help make ends meet, but doesn’t have a green card yet. Speaking through an interpreter, she said she’s scared about what that means for her future. 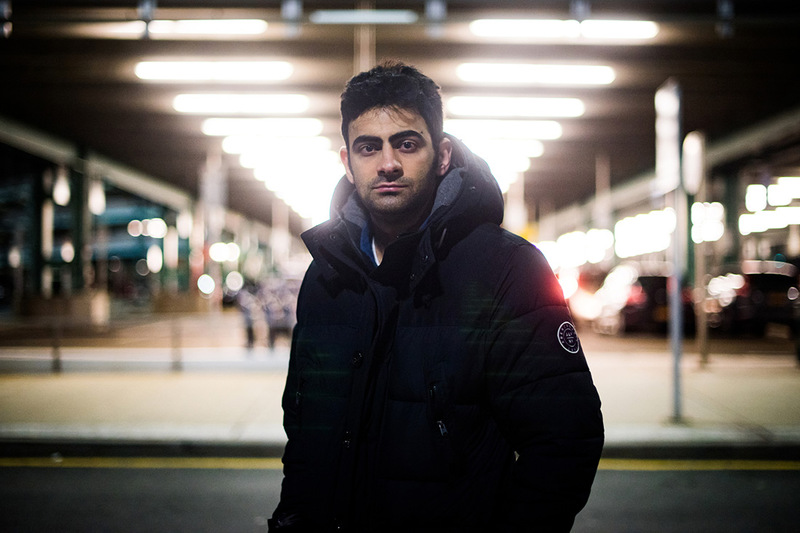 Moustafa is a trainee doctor at a hospital in Washington, D.C. Like his friend Hajouli, he was raised in Aleppo and left Syria soon after the civil war started. He is in the US on a cultural exchange visa along with his wife, who had been visiting family in Qatar. She arrived back at Dulles airport early Saturday morning, but Trump’s executive order was signed while she was in the air. 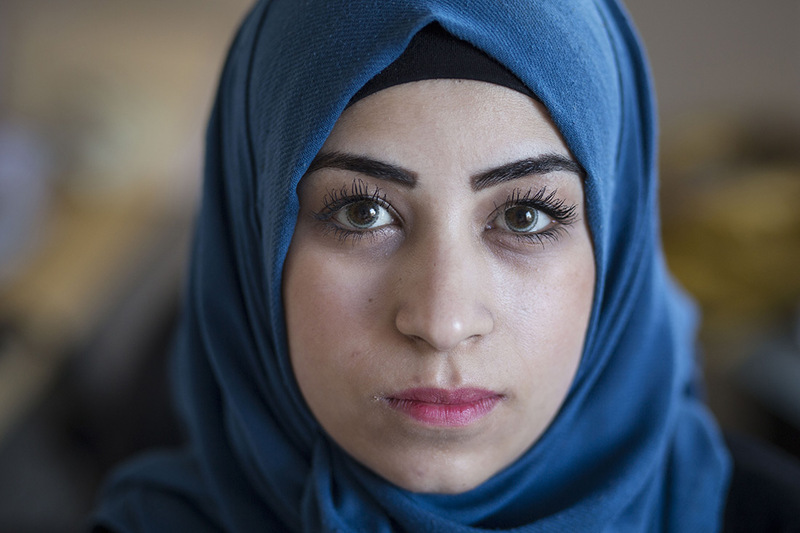 Because she has a Syrian passport, she was sent back several hours later, he said. Moustafa is devastated and is wishing the New York judge’s emergency stay had come earlier in the day. But he said the crowds at Dulles chanting "Refugees are welcome here" have given him hope. Hesham Al Madwami and his wife, Frannie, live in Clarkston, Georgia. at John F. Kennedy International Airport in New York. 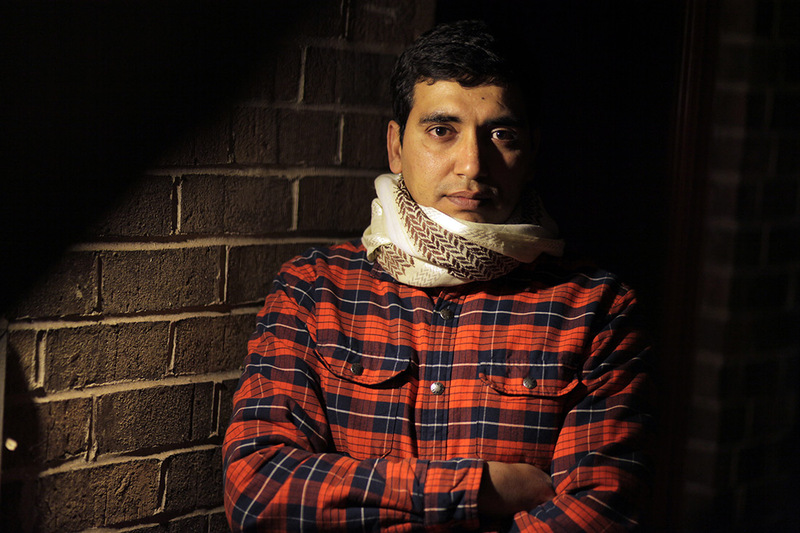 Darweesh was one of two Iraqis detained at New York’s Kennedy airport after the travel ban was announced. Darweesh, who worked as an interpreter for the US military during the Iraq War, was released from detention Saturday afternoon. Alhassani lives in Saudi Arabia and works for an international company that does business with the US. He earned a master’s degree in aerospace engineering from the University of Kansas, has a visa and travels to the US frequently for business meetings. 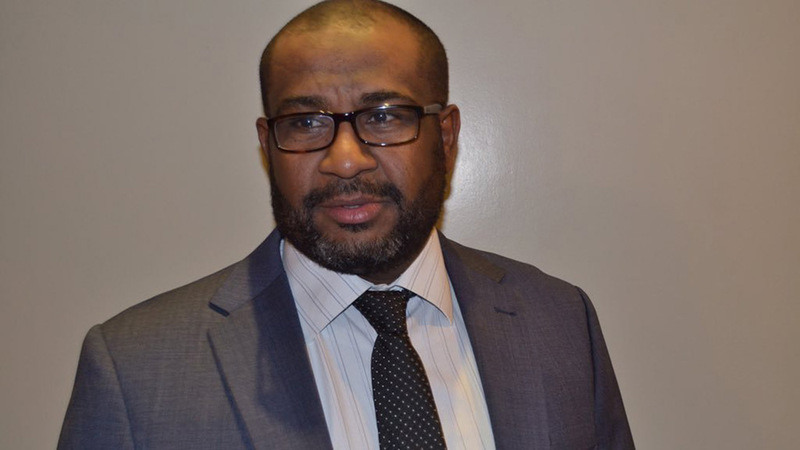 Alhassani, the father of five children, was planning on traveling to Washington, D.C. in early March for a trade show. "I was actually planning to send my kids to school in the US, but no more,” he said. “Now I’m looking at New Zealand." Thaher came to the US five years ago. She didn’t speak a word of English when she arrived, but Lowell, Massachusetts, has become home to her. She works at CVS as a supervisor and is studying business at Middlesex Community College. Her brother and his family are still in Iraq, where he works with a company that protects US military personnel. In the yard outside the apartment where Rajab lives in Stone Mountain, Georgia, there's a sign with balloons on it that says "Welcome Home!" But Rajab is still struggling to find his footing in the United States. The 24-year-old refugee from Homs, Syria, arrived last month with just three changes of clothing to his name. In a matter of minutes last week, he went from thinking his family could be days away from joining him to fearing they'll never be allowed to come. This is the first time he's ever been apart from his mother. He keeps a picture of her inside his wallet, next to his ID. He's not sure when they will see each other again. "It's very painful to be away from them. My happiness is not complete because my family is not with me. I have no one to talk to. I have a neighbor but it's not enough. ... I hope when I get a job it will help distract me." 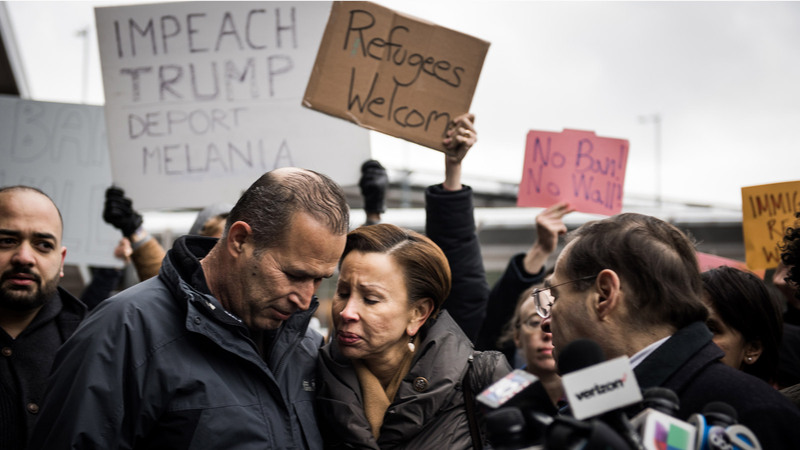 Mohamed, 38, and Munye, 44, arrived in the United States just two days before Trump's inauguration. 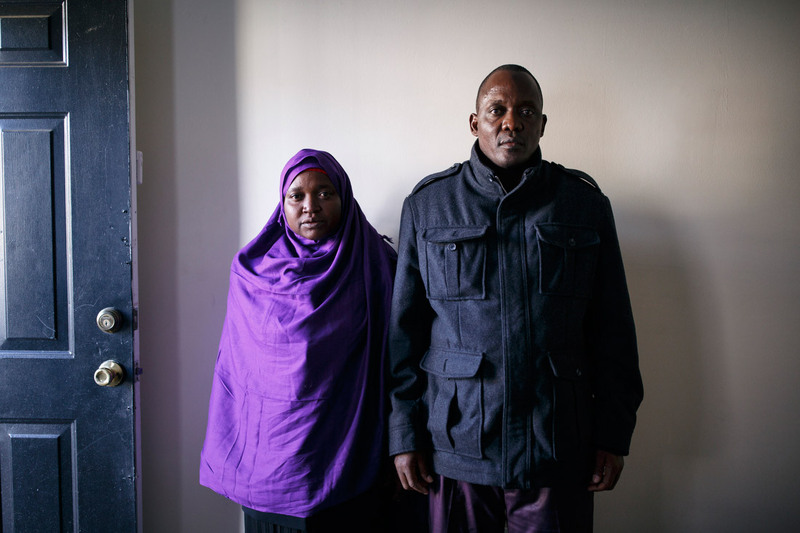 Their 20-year-old daughter, Batula Ramadan, was supposed to join them in Clarkston, Georgia. But the Somalian refugees were devastated to learn that their daughter's trip was canceled because of Trump's executive order. They said they hoped the first lady could convince her husband to change his mind. "My daughter right now is in a lot of pain. She's unable to express herself because of how much she's crying," Mohamed said. "I'm afraid she feels I abandoned her." Donie O'Sullivan, Catherine Shoichet and Merieme Arif contributed to this report.